We all have done it. We've all had to apply to admission to our favorite college. You fill out those forms. You check the mailbox every day anxiously waiting for that notification. Finally, the response arrives! You open that envelope hands nervous while wondering are you accepted or is it a letter of rejection. I checked my email and there was my letter of acceptance! I'm going to Raspberry Picademy! The meaning of cohort is a group of people banded together or treated as a group. At Picademy, we indeed became cohorts. We were encouraged to collaborate. We were encouraged to help each other. I like this about Picademy. The fun had begun! All forty of us were ready! As we were going through the different training lessons you could hear people exclaiming, "I did it! I did it! ." Of course, everyone wanted that taste of success. That excitement drives you to succeed, not to mention this was a ton of fun! My favorite coding moment was when I wrote my first lines of code to program the Raspberry Pi to take my selfie. I had a grumpy look on my face because I was at that frustration point where I thought I had an error in my program, but then it snapped my pic. As an educator I asked myself, how I could I use this tool to motivate my students to learn to code Raspberry Pi. When students are curious I find that they seek to explore and learn. 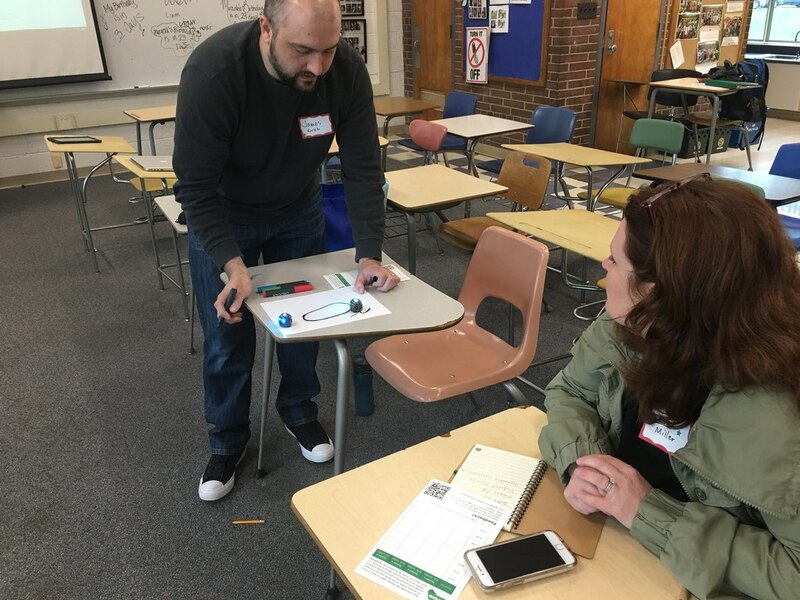 Imagine encouraging students to take control of their learning. As a launch, to hook my students into becoming curious about Raspberry Pi students will explore the camera. Everyone loves to take selfies. 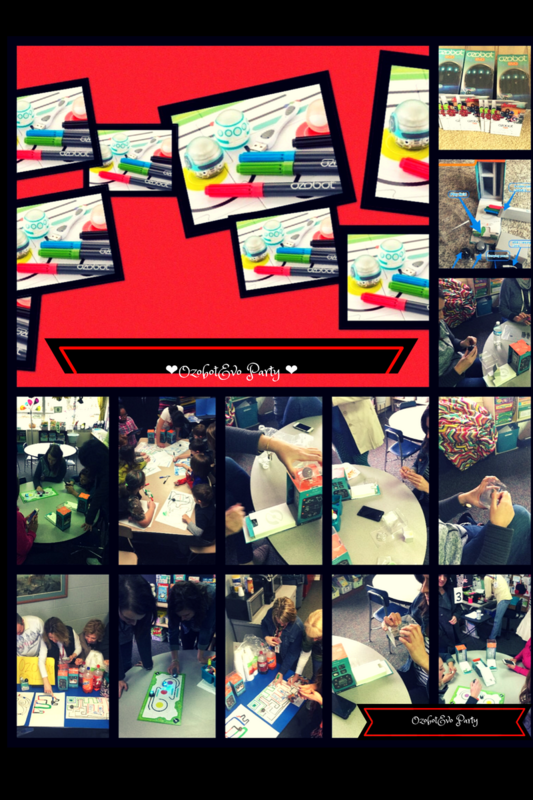 Everyone loves to take pictures.Students will take selfies with their created works of art (I teach art and technology). Students could place these pictures on their own website or perhaps they could program their Raspberry Pi to tweet out the pictures. This would certainly build my students' computational thinking skills. To further engage students to learn and make, students will utilize the free resources that are located on the Raspberry Pi website. 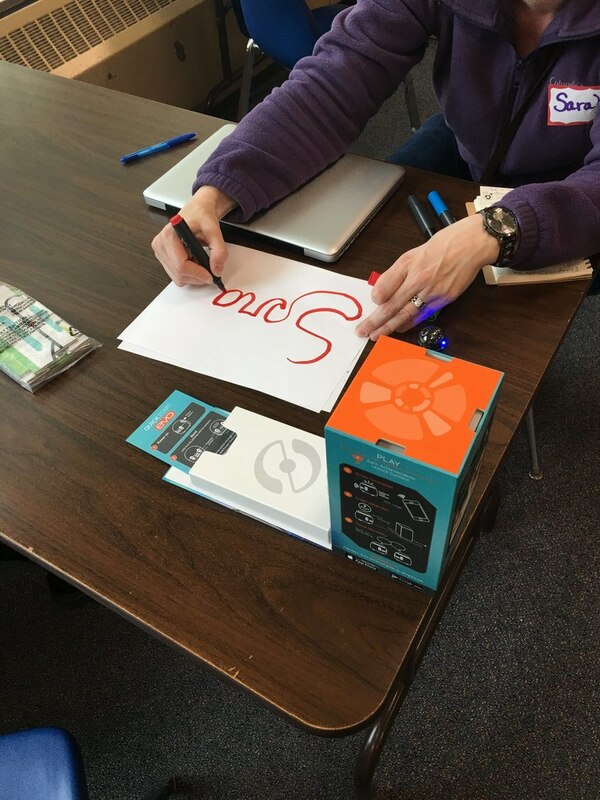 I experienced the failures and successes of trying ideas while at Picademy. This had reaffirmed my belief that all students need to experience failures and successes when exploring new ideas. It is a vital part of the learning process! Part of the learning process with coding that I noticed while at Picademy is that when failures happened it pushed everyone to keep exploring because we wanted to succeed and figure out why it didn't work and how to "fix" it in order to be successful! 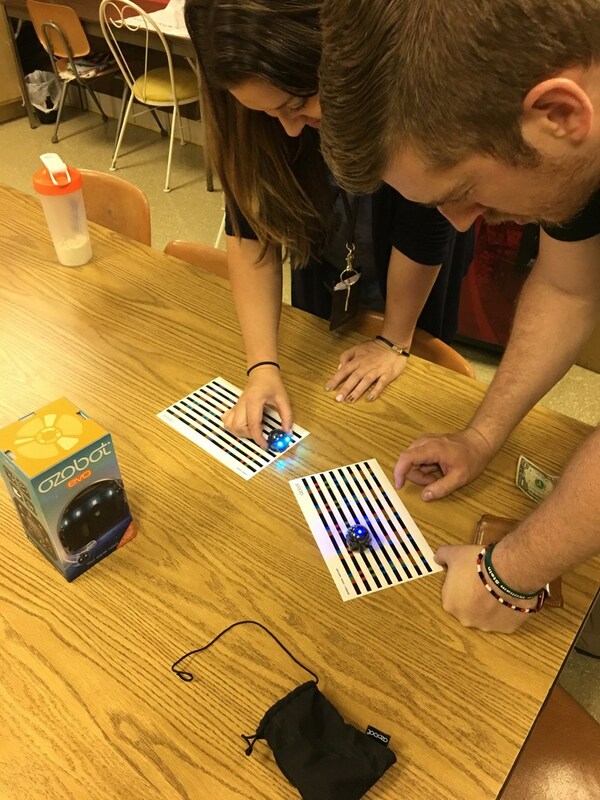 Students will explore coding with Raspberry Pi by making and rethinking their ideas through collaboration and exploration. These are key components to their growth and learning! Raspberry Pi will spark my students into exploring their ideas by making and learning. The experience will the inevitably lead to moments of failure but these failures will propel them forward to succeed! Check out this link to see more pics including The Nerdy Booth! This project integrated several academic subjects. Students completed their CoSpaces project several weeks ago. Many continue to tweak their CoSpaces. Many have started their own projects. The fact that students are still working on their CoSpaces on their own is the evidence of a great effective lesson with a successful concluding project. I had my students use CoSpaces to code their favorite novel during March is Reading Month. I launched my lesson by bringing in a copy of my favorite book Crispin by Avi. I told the students wouldn't it be great if I could create a digital environment of my favorite scene from this book and wouldn't it be great to make it look kind a like a movie where the characters move around in the scene and interact with other characters? I told the students we can do that by coding our own space and use virtual reality goggles to view what we create and we can do that by using CoSpaces. The students were extremely excited about this project. All of my third through fifth grade students at both schools did the lesson. 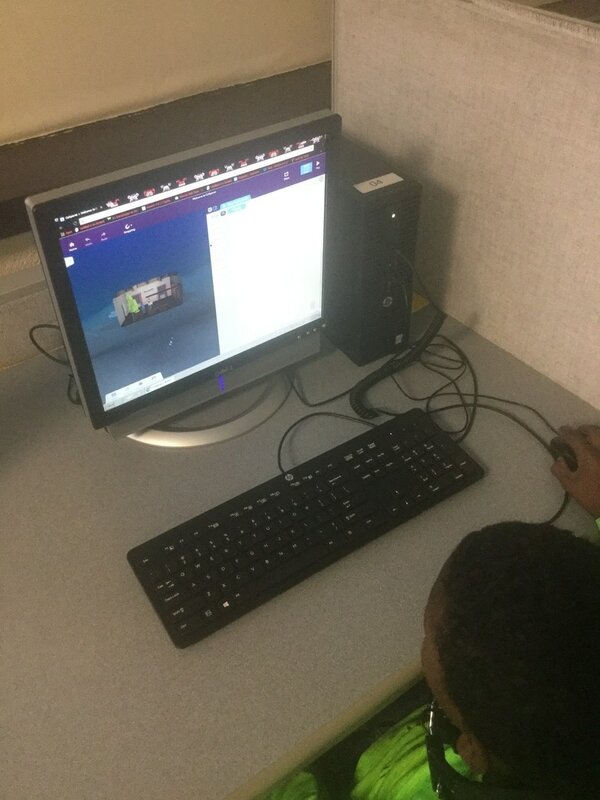 The most exciting part about the experience was when students and parents told me that they worked on their CoSpaces environment on their own time without being assigned to do it as homework! 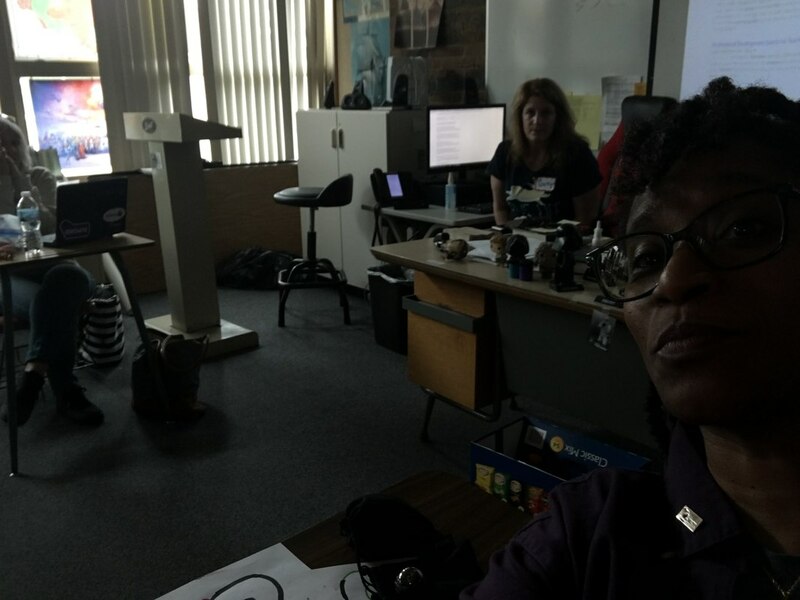 I created the Code your Novel assignment in Google Classroom. Students received creative license to design their CoSpaces in their virtual environment. There were a few requirements that the students had to have in their virtual environment. The students had to include dialogue, they had to present tense and they asked when was changed this morning code the characters or objects to move, students had to include an image of their novel in their virtual environment, students had to print their Google Doc which included their short summary about their environment which included details about that particular scene, a screenshot of their CoSpaces page and a QR code that hyperlinked to their CoSpaces environment about their book. Students printed their Google Doc and hung them around the school so people could scan the QR code. We also had virtual reality goggles available for people to use to look at the CoSpaces environments that the students created. I tweeted about the lesson and the company contacted us to do an interview about the lesson and feature us on their blog site. I designed the background cover photo using DoInk and my greenscreen that the company used for their feature blogpost about my students and the coding project. 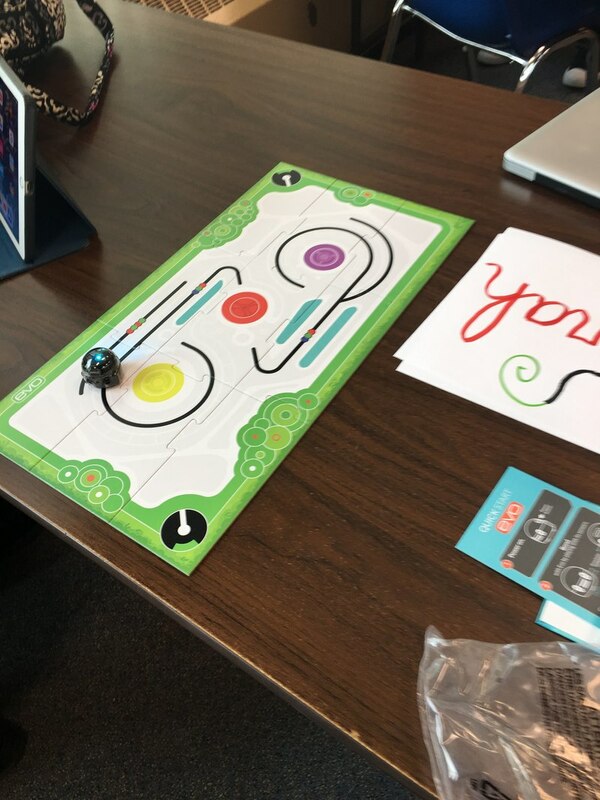 My students got “hooked” into coding by using CoSpaces. There are a couple of things that I would do differently if I had to do this lesson again with the students. 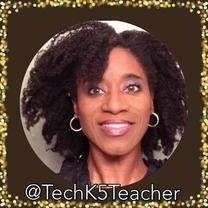 I would create a site where all students are "encouraged" to showcase their projects. 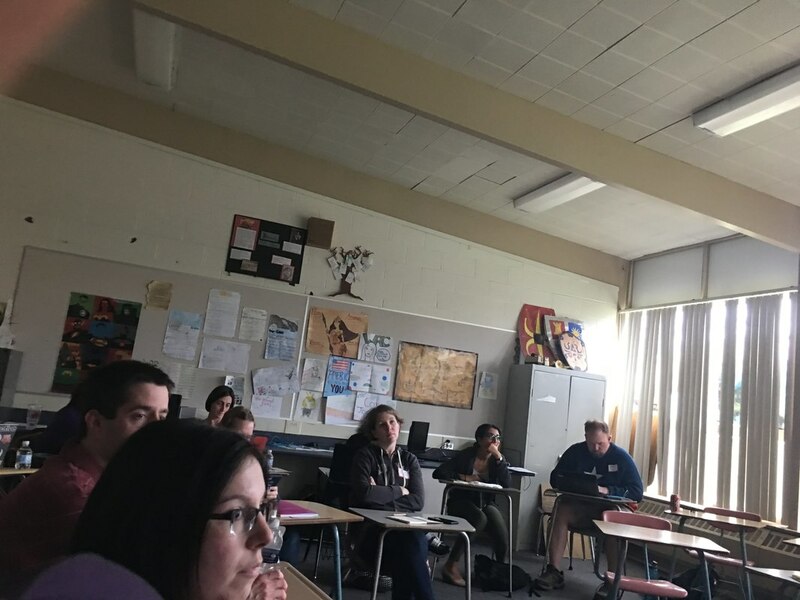 Many shared with their classmates, but imagine how powerful this could have been if their work was featured on a site where someone could see and read about their project and it's hyperlinked to direct them to the project. Yes, we had QR codes but we weren't able to share it globally or even across the district. 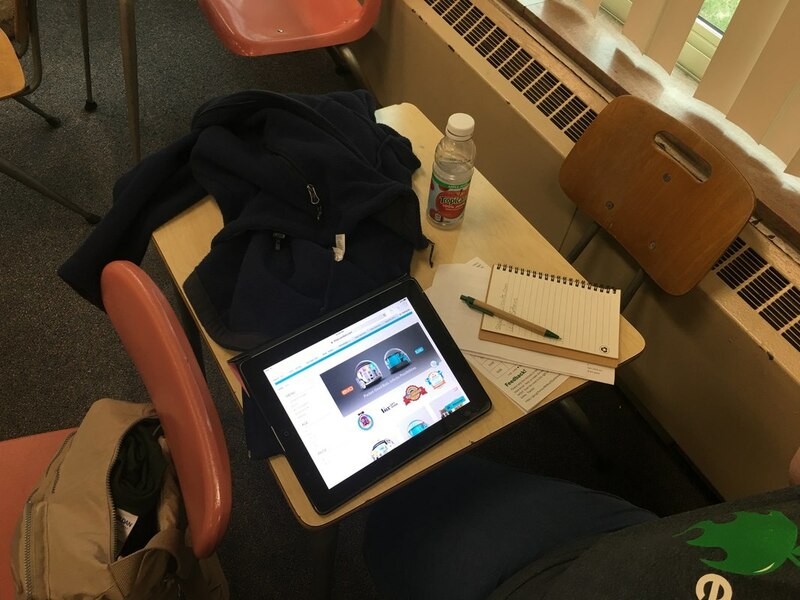 ​CoSpaces is a great tool to use to integrate with most academic subjects that the regular education classroom teachers cover with their students. The bonus is that it fulfills several ISTE standards and common core standards! 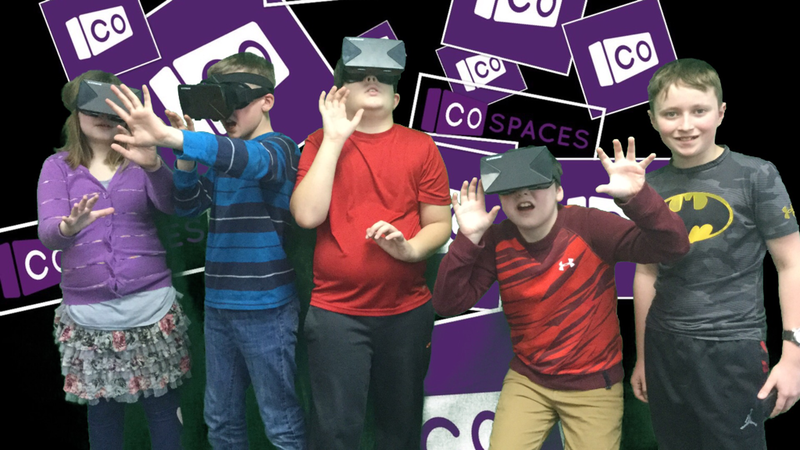 Here is the link to CoSpaces if you'd like to explore this VR Coding website with your students. Sometimes students like to read their own books online or have the books read to them. 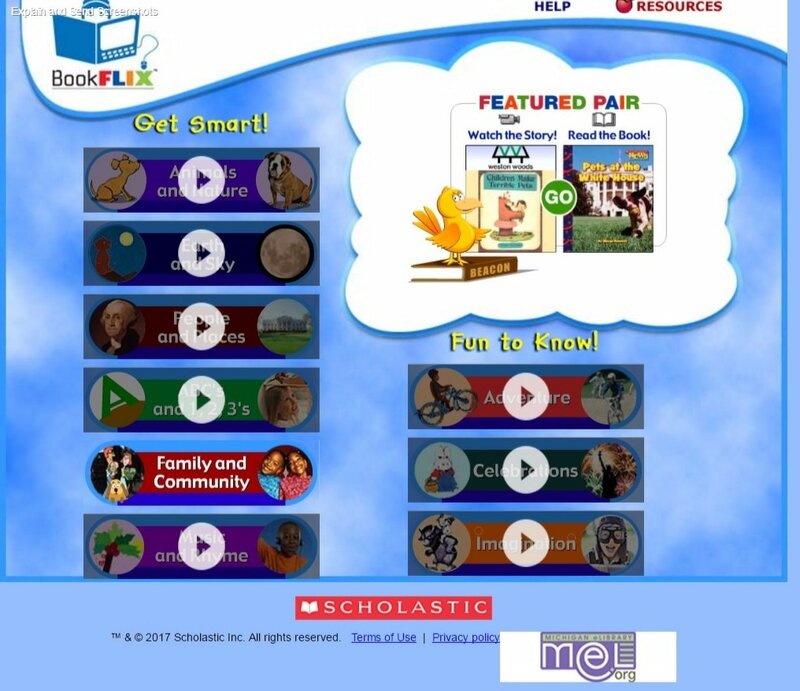 Two of my favorite website that I have for my students to read books online are BookFlix and StorylineOnline. 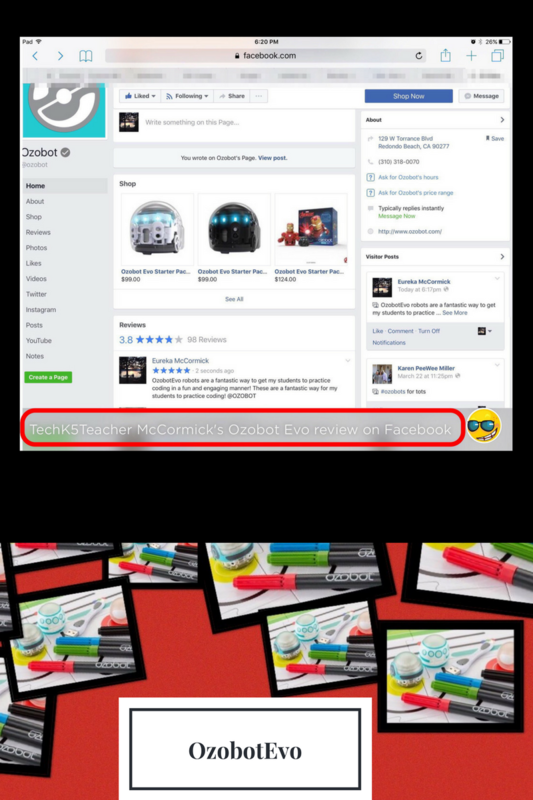 I like Bookflix because they offer the option of having readers read the text or having the text read to the reader. I also like that the books are paired with a fiction and a nonfiction book based on the same topic. I would not have known about BookFlix if I had not been a member of MACUL (Michigan Association for Computer Users in Learning) member ship is FREE. Here is the link to MACUL. Another great free book resource for teachers to use with their students is Epic Books. I like Epic books because teachers have a dashboard that houses data. Students get to the site via a join code. Teachers can upload quizzes and assignments for students. The website has lots of books in several genres. This was a great experience. 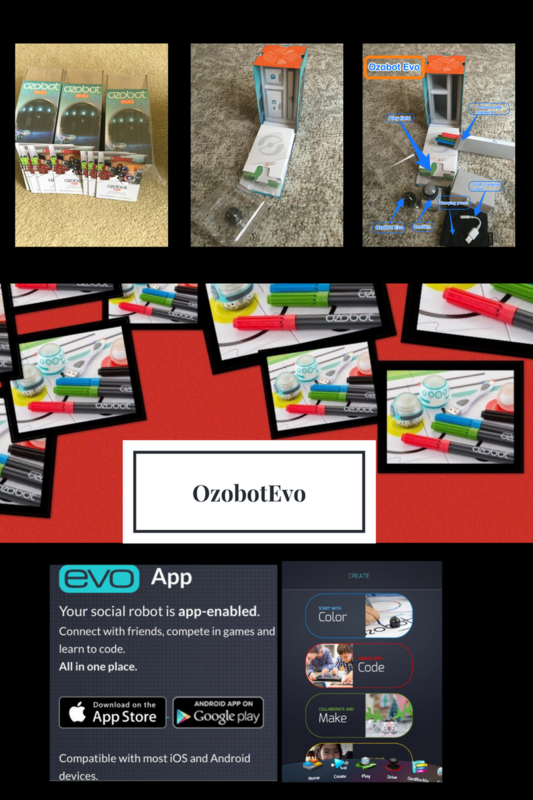 I was elated to find out that I had been chosen to host a Tryazon Ozobot Evo Ground-Zero Party! I had the official party on March 21, 2017. 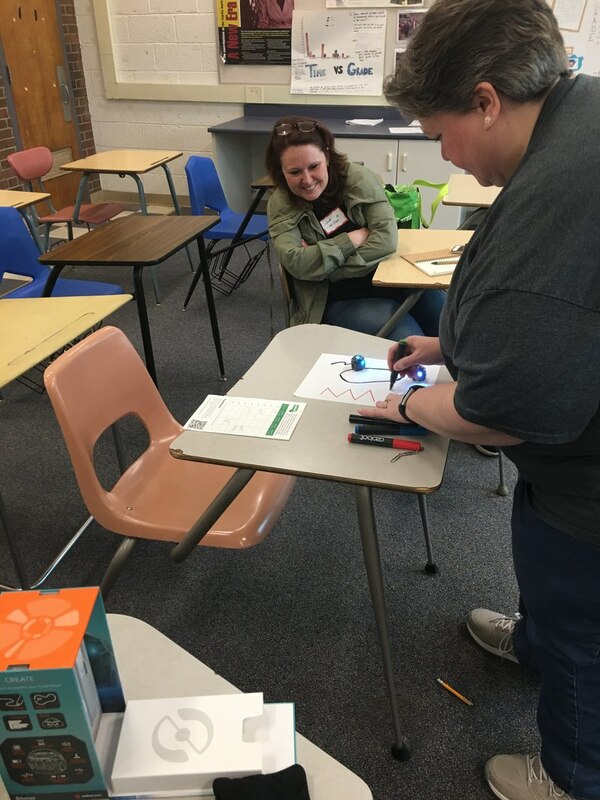 Teachers and students enjoyed trying out the OzobotEvo robots. 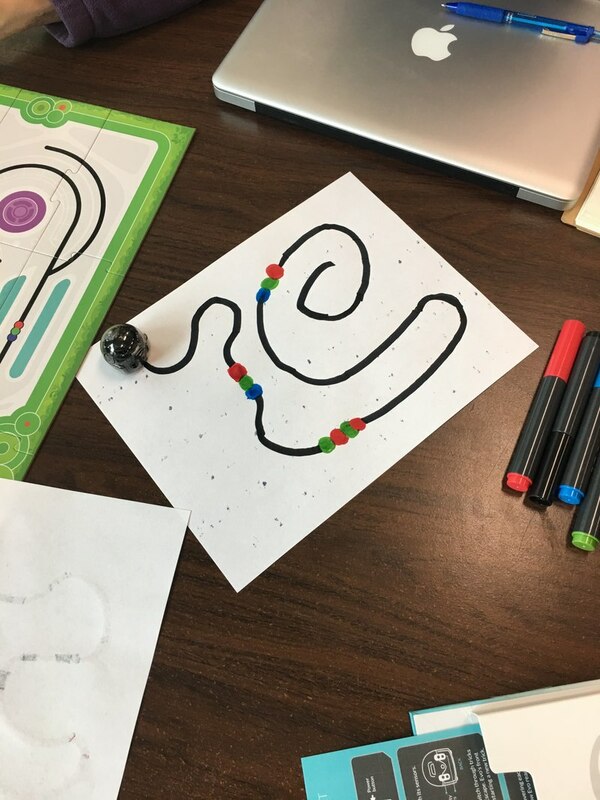 The students liked that they had the option of coloring to create, use Blocky programming to practice coding and use the remote control option to use the robots. The students also liked the sounds that the OzobotEvos made when they used them. Students got a kick out of the use of the OzoSkins. One student stated, "It was like you are able to put "clothes" on it." The adults liked that there were many options to use the OzobotEvo robots. They liked that they are tiny robots with mighty powers! 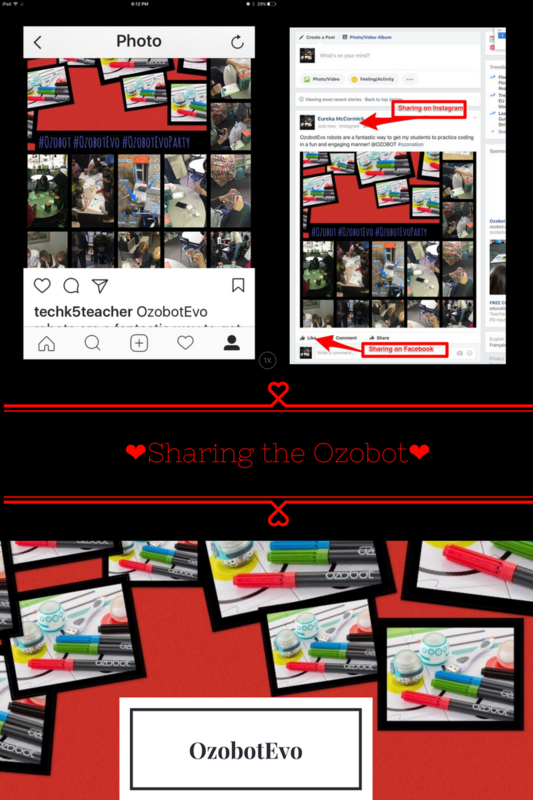 One teacher loved how the company packaged the OzobotEvo however, she did not like that it was difficult to get the Ozobot off of the packaging platform. Another teacher also thought it was difficult to get the OzobotEvo off of the package platform stage. Overall the party was a huge success! Several teachers plan to purchase them as gifts to use in their classroom and for their own personal use! This is an infograph about what was included in the OzobotEvo kit. 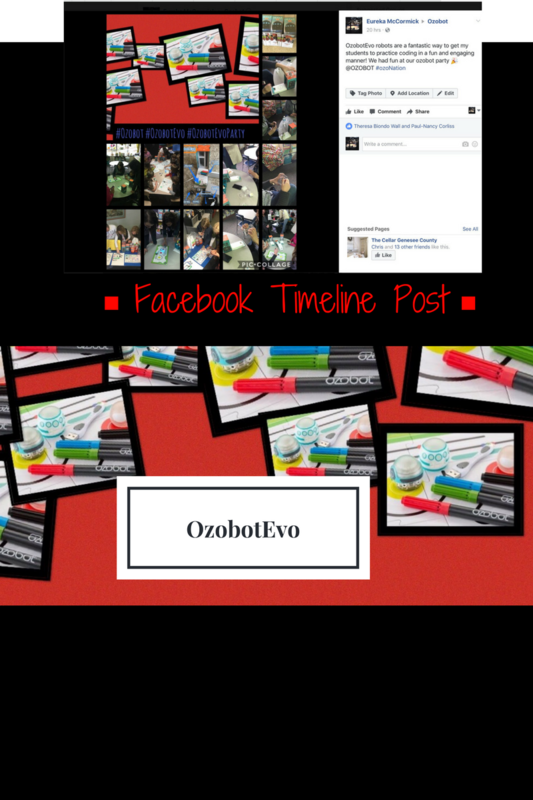 This is an infograph about how students and adults can use OzobotEvo. 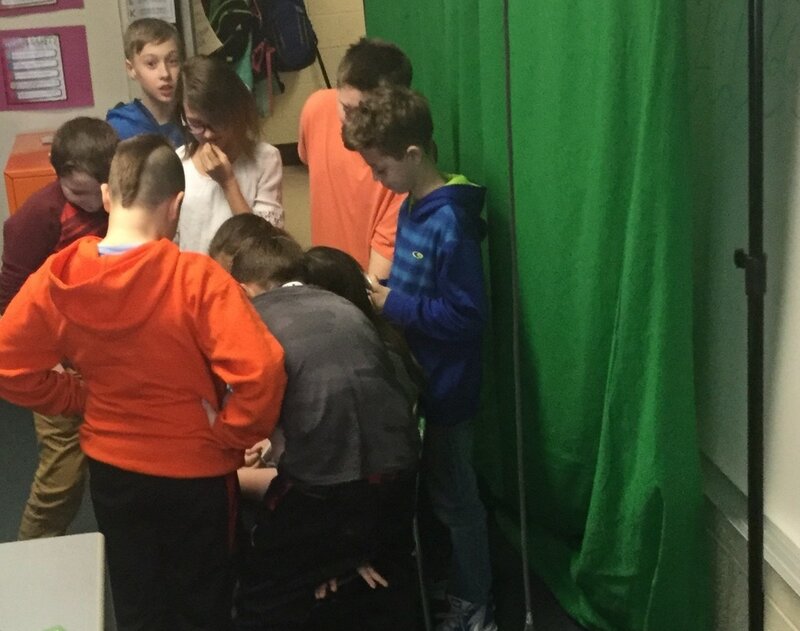 Using the greenscreen is a creative way for my students to create videos. Students are working on creating an anti-bullying video. Two of my students wrote the script and then found other students to volunteer to do the acting. They even had a student be the director. 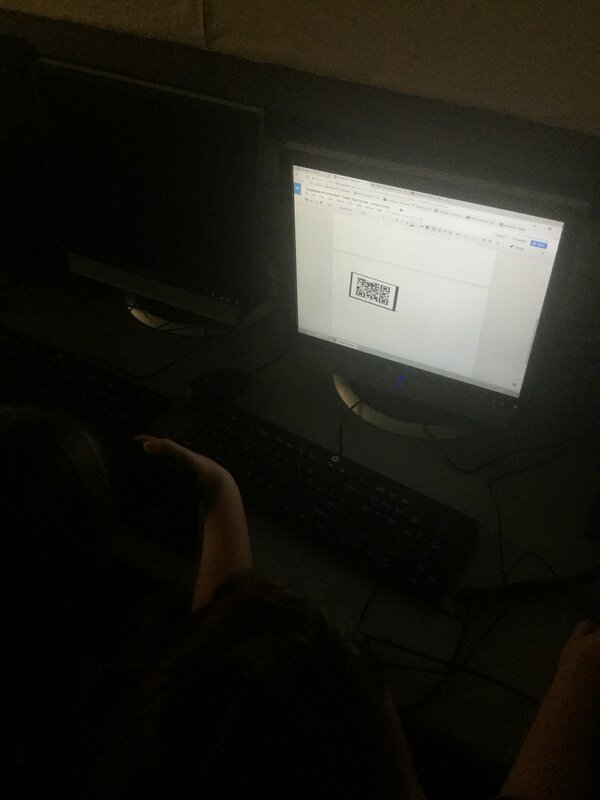 Students wrote the script by creating a storyboard on a Google Doc so everyone can collaborate to edit the script to make the script better. Students used the free version of the TouchCast app for our iPad. 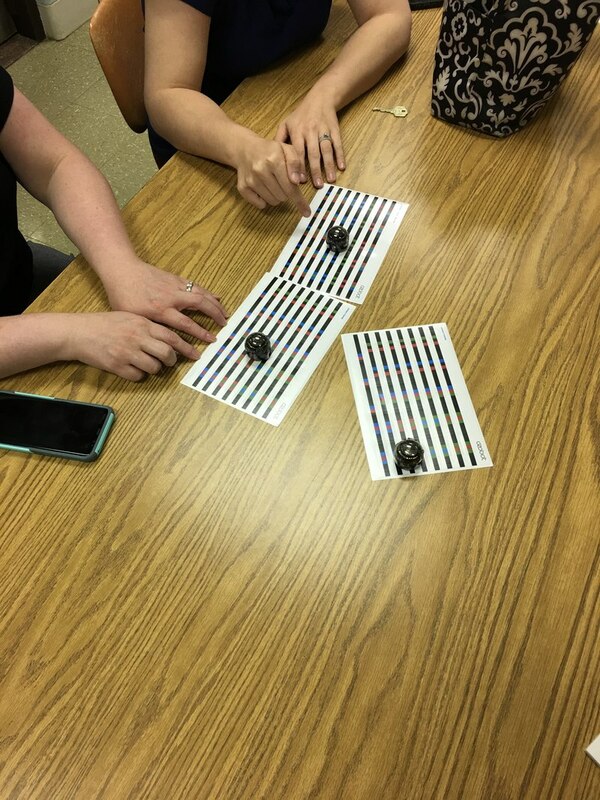 I love how the students did their own problem solving and worked together to work on this project. Students are using VR goggles to view their CoSpaces environment that they coded based on details from their favorite novel. Reading is all around us. Technology is all around us. So I thought why not have my students create their own virtual reality environment based on their favorite novel? 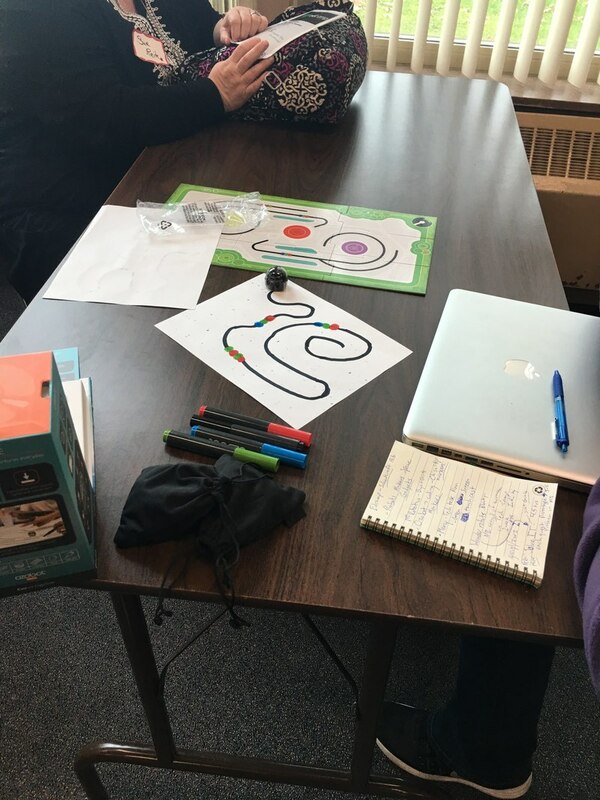 Based on their favorite novel students could code items to create “action” in their CoSpaces environment to demonstrate their learning about their book and provide evidence of growth in learning coding by creating digital content! This could be a learning and growing opportunity for my students. 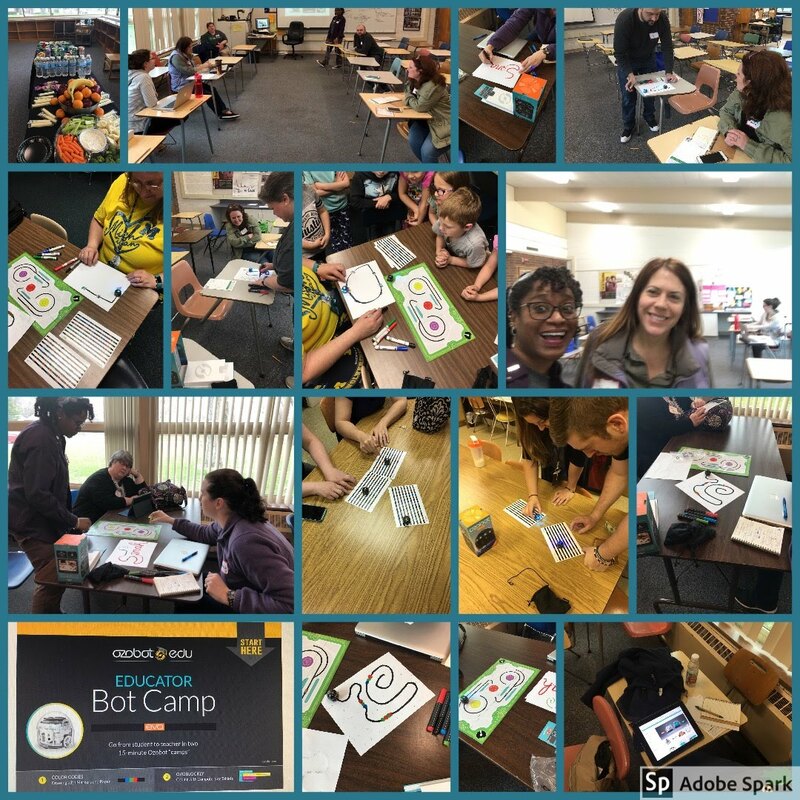 They will get to share with the world, what they've created and provide evidence of learning as far as how proficient are they becoming with learning to code and students will also get to share details about their favorite novel! 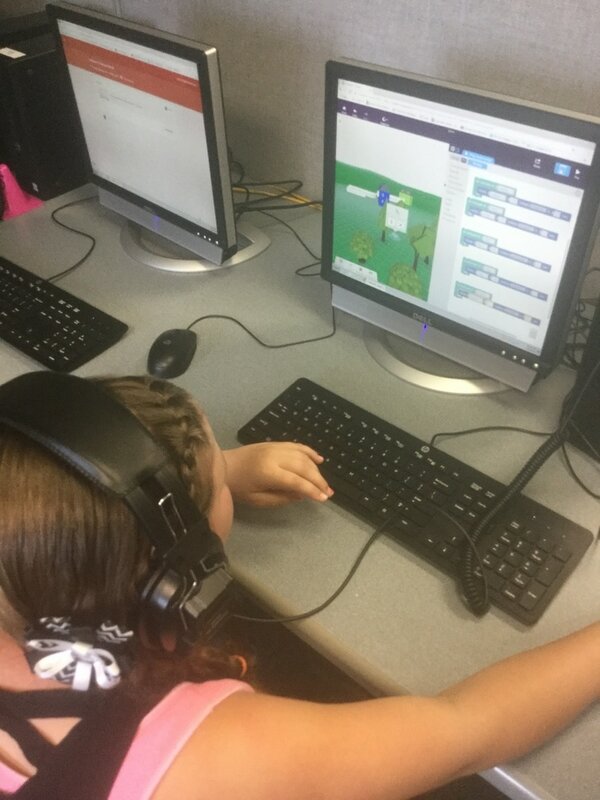 CoSpaces is a great tool to use to integrate with most academic subjects that the regular education classroom teachers cover with their students. The bonus is that it fulfills several ISTE standards and common core standards! In agreement with my educator friend Toutoule Ntoya when he shared his thoughts about the future of STEM, we don’t know what the future of tech holds for us, but I’m pretty sure that STEM will still be a part of the future. 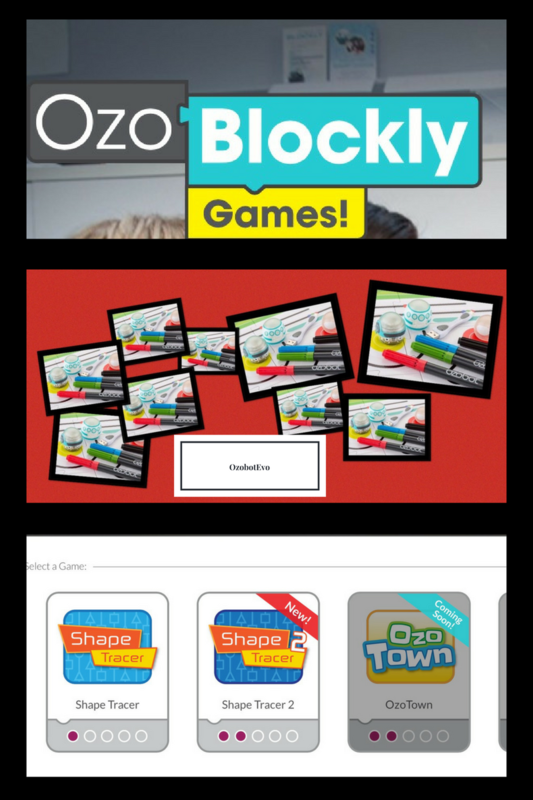 What my students have done with CoSpaces is STEM and the use of digital content and the creation of digital content in our society will not go away. It will continue to permeate our society. We have to prepare all students today to be creators of digital content not just consumers of digital content currently and in the future! Make today a creative day!